If you think the number of airmen getting exempted from the PT test is on the rise, you would be wrong. 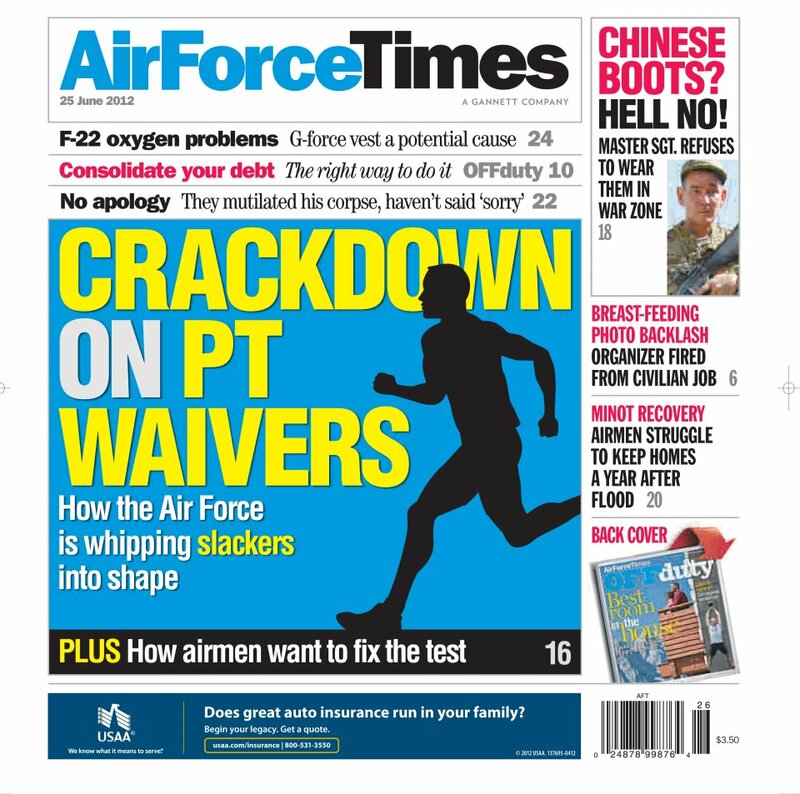 The data tell a different story, although the Air Force says it has not made it harder to sit out the PT test. Meanwhile, an American fighting man in Afghanistan refused to wear the Chinese-made boots his unit gave him. Air Force Times tracks down why he wasn’t given American-made boots and whether it’s legal for U.S. troops to have gear made overseas. And the family of a Marine killed in Afghanistan is still waiting for an apology from the Air Force over the treatment of their son’s remains at the Port Mortuary at Dover Air Force Base, Del. Workers hacked off the fallen Marine’s arm to make him fit in his uniform. DoD purchases are regulated by the Berry Amendment and the Buy American Act (BAA). The 150 pairs that his unit purchased violated (in my opinion) the BAA >$2.5K. Please clarify this in future editions so that Air Force & DoD purchasers are not mislead by the <$150K Berry threshold.